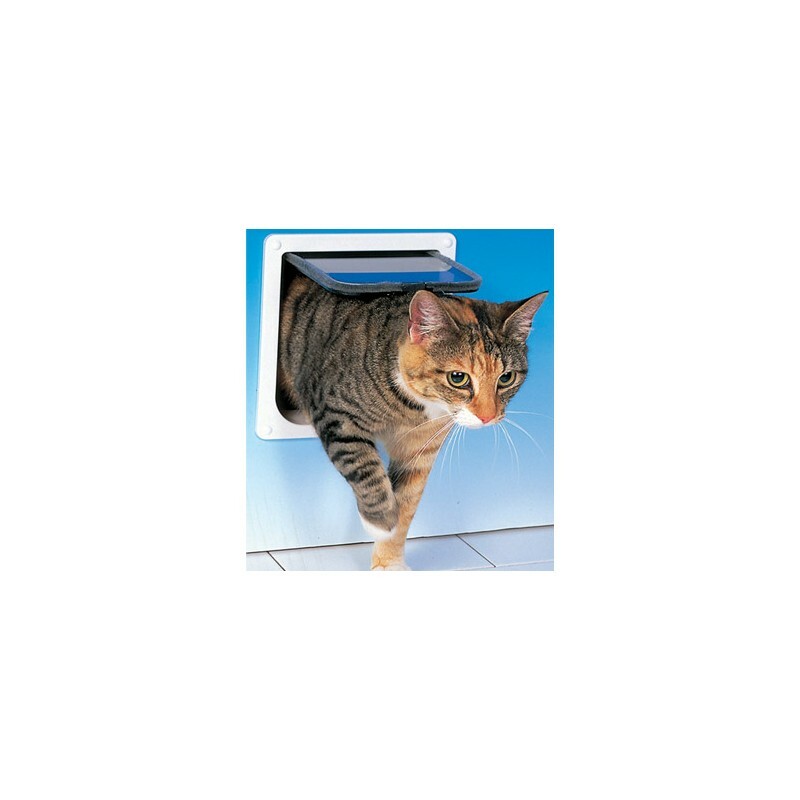 Control your cat's comings and goings with this easy-to-use 2-way lockable cat flap. 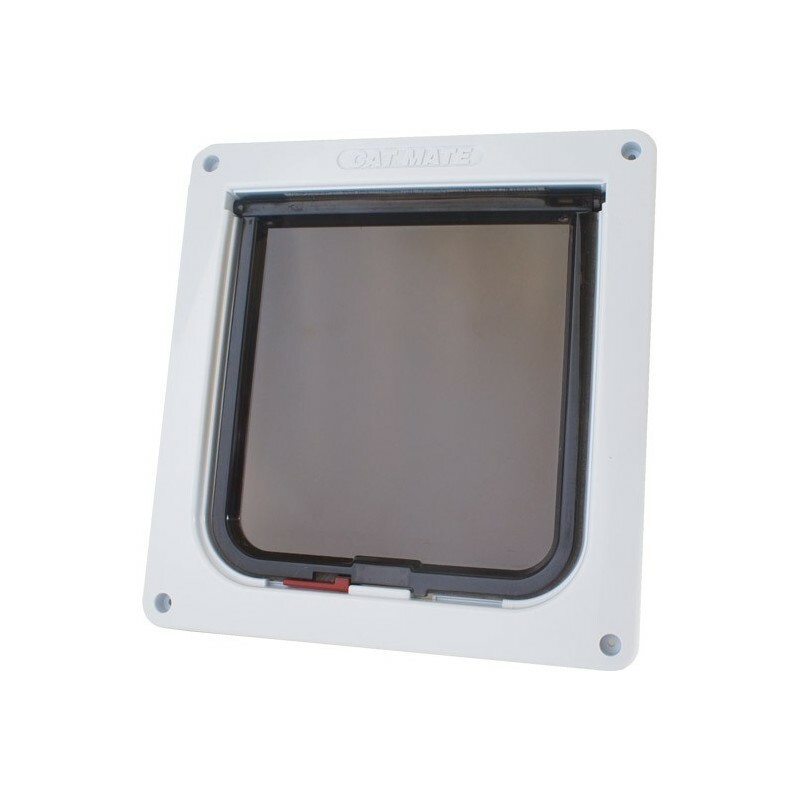 White, overall size 7 5/8" W x 7 7/8" H, cut out size 6 1/2" W x 6 7/8" H.
Economically priced cat flap recommended for thin panel doors up to 1/2" thick. 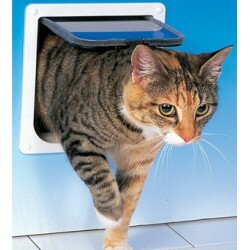 2-way lockable, can be locked with simple slide lock. 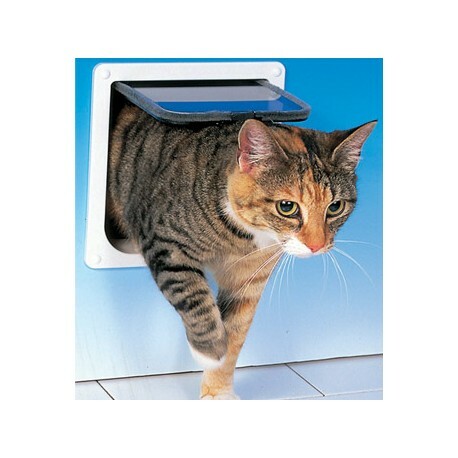 Transparent flap with brush strip to prevent drafts and silent swing action. Includes exterior weather seal. 3 year manufacturer's guarantee. 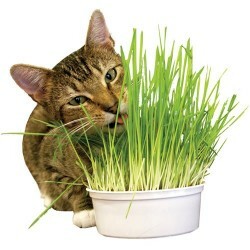 All items are guaranteed from Cat Claws for 45 days from date of purchase; after 45 days, refer to manufacturer's guarantee.